If you are a US veteran and it’s time to purchase a home in the Corpus Christi area let us know. Press the “get started” button on this page, send us your information, and we will call you the same day. If you are just now starting the process and need help with your Corpus Christi VA Loan, let us know while we are on the phone with you. We will gladly have a Corpus Christi VA home mortgage lender call you at your convenience. We have working relationships with Many Corpus Christi VA loan specialists. Usually we can get you pre-qualified within 24 hours. Although USVA Realty is a real estate brokerage for US veterans and not a lender. USVA Realty has a network of VA lenders ready to go. Since 90% of our clients are using their VA Home Loan we have to be able to help our clients get their loans. Most of our clients are first time home buyers. We are very experienced in answering all your questions about buying a home. Dont be afraid to ask us anything. We are here to help so let us show you how easy this is. Your Texas VA home loan can be used to purchase an existing home in Corpus Christi, a new home or a VA approved Condo. 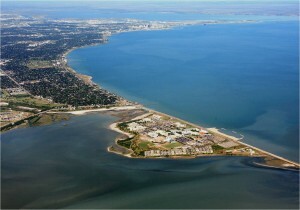 Our service area is all of Corpus and all nearby areas. We provides service from Robstown to Rockport and from Port Aransas to Aransas Pass. Get Started today with your Texas VA home loan!